The Illuminatus! Trilogy: The Eye in the Pyramid, The Golden Apple, Leviathan (Paperback) | novel. 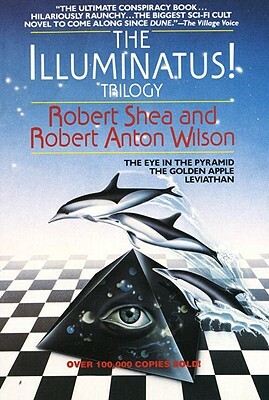 Robert Shea was the co-author of the Illuminatus! trilogy with Robert Anton Wilson and the author of six other novels including Shike, All Things Are Lights, The Saracen, and Shaman. He died in 1994.